Knowing how to change a starter motor will help you stretch your car maintenance budget, so you can use that money for other maintenance tasks. 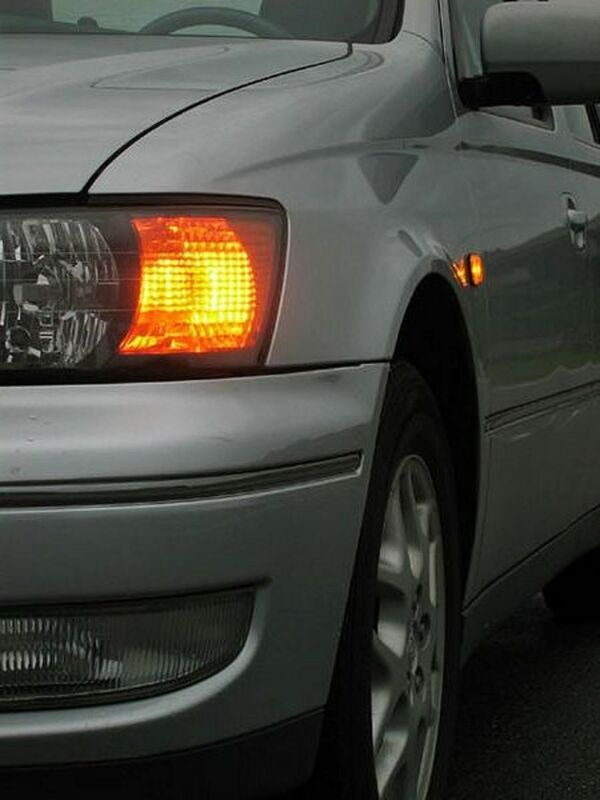 Using the correct steps, you'll avoid ending up with an electrical short circuit, damage to the new starter motor or some other components, and, most importantly, you'll pay attention to key procedures that may apply to your particular vehicle model. But don't worry, you don't need to have much experience working on cars. And, on most vehicle models, you can replace a failed starter at home using some common tools you might already have in your toolbox. In most cases, replacing a starter motor requires a few common tools you might already have in your toolbox. 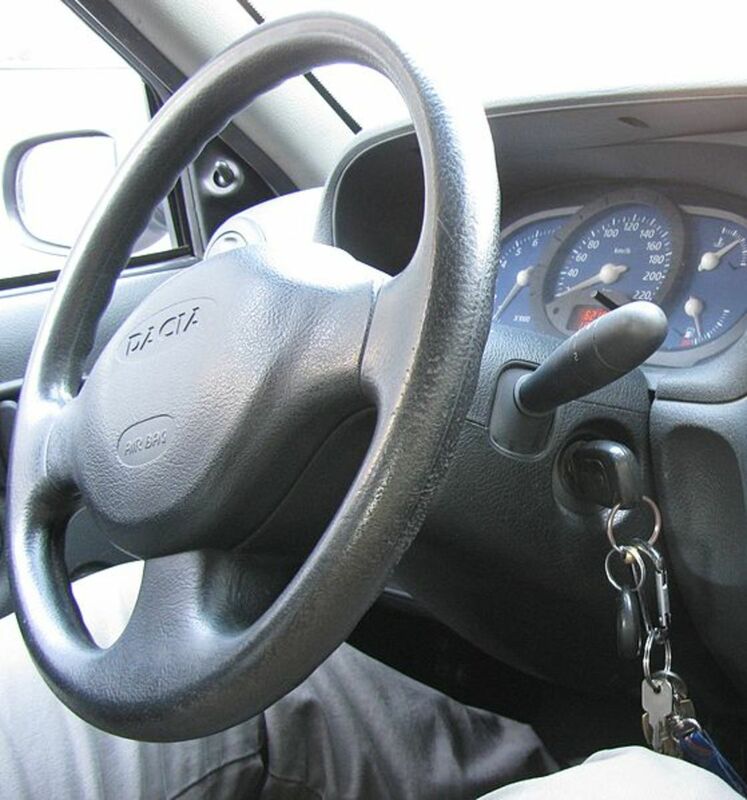 However, before you start, locate the starter in your particular vehicle model. 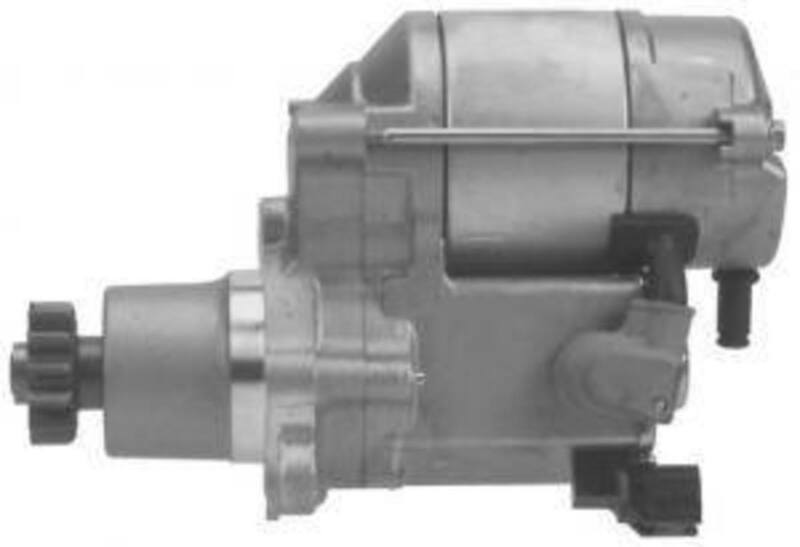 Some starter motors sit towards the lower or upper section and to one side of the engine, next to the transmission — on the radiator side. If you can't reach the motor from above, you'll need to lift the front of the car, secure it safely on jack stands, choke the wheels and work on it from under the vehicle. Other models may locate the starter between the firewall and the engine, in the lower section. It makes for a little more difficult but not impossible repair job. Still, other models have the starter on top of the engine, in a valley section under the intake. Under this configuration, you need to remove the intake plenum and other components just to gain access to the unit. On a few models, you may need to remove key components, like a motor mount, to gain access to one or more mounting bolts. Although you may remove some of these components without much problem, you may have to use a particular procedure, like properly supporting the engine. If you think you need to remove one or more components you don't feel sure how to deal with, consult the service or repair manual for your particular vehicle make and model. 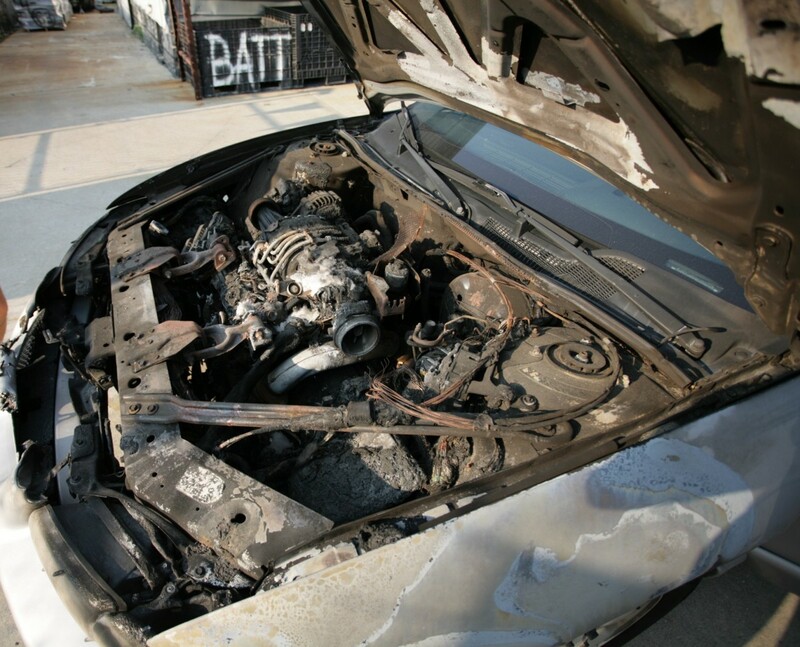 You can buy an inexpensive aftermarket repair manual at most auto parts stores or online. So make sure you have all the tools necessary for the job before you start. 1. Park your car on a level surface and disconnect the negative or black battery cable using a wrench. 2. Isolate the disconnected cable terminal from the battery to prevent it from accidentally touching the battery post as you work on the starter. You may want to wrap a shop rag around the terminal. 3. If you can't reach all the starter mounting bolts from above, raise the front of your vehicle with a floor jack and set it safely on jack stands. 4. Then, use a couple of wooden blocks to block the rear wheels and engage the emergency brakes. 5. Put on your goggles and crawl under the car. 6. 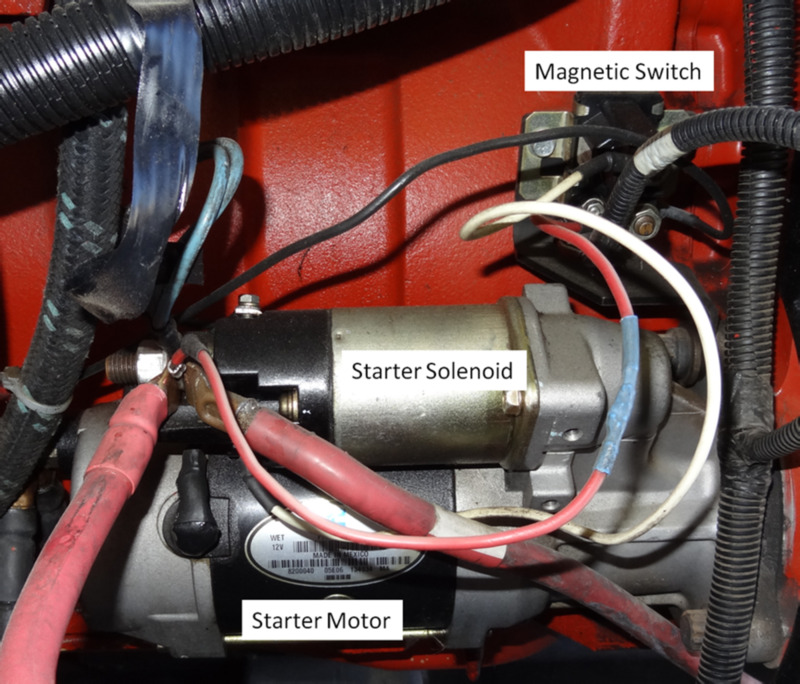 Locate the battery cable and any other wires attached to the rear of your starter motor — or solenoid on top of the starter — and disconnect them using a wrench. Make a note of the location of each wire so that you can replace them correctly, if necessary. 7. Remove any brackets and shields from the starter. 8. Then, loosen the two or three starter mounting bolts using your wrench and ratchet tools. 9. Check for any shims installed between the motor and engine block. Does your starter motor use one or more shims? Make a note of their position and location. 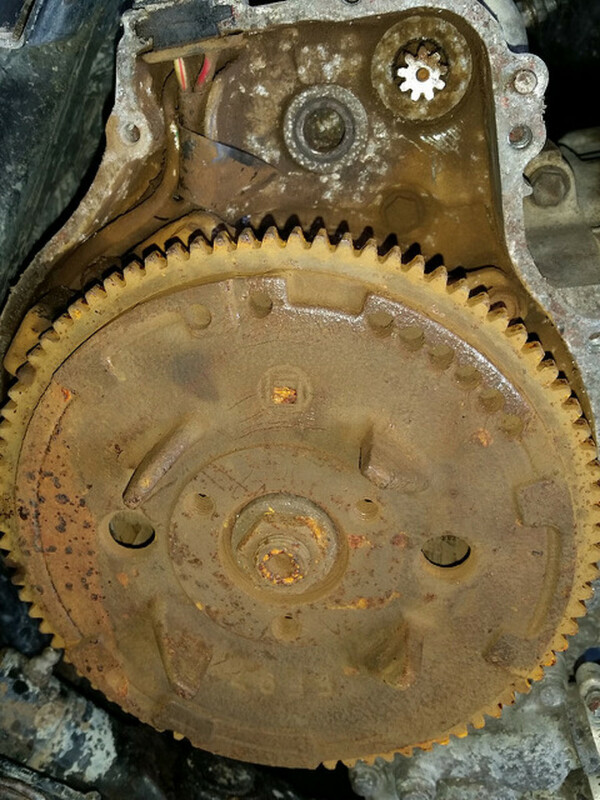 If you don't reinstall these shims in their original position and location, the pinion gear on your starter motor and flywheel gear on the engine will not mesh correctly, and either component may suffer some damage. 10. When ready, hold the starter motor with one hand, finish removing the starter motor mounting bolts and remove the starter from the vehicle. Take the old starter to the auto parts store and compare the old unit to the new one, and make sure it has the same configuration. However, some newer replacement starters are smaller but more efficient than the old models. 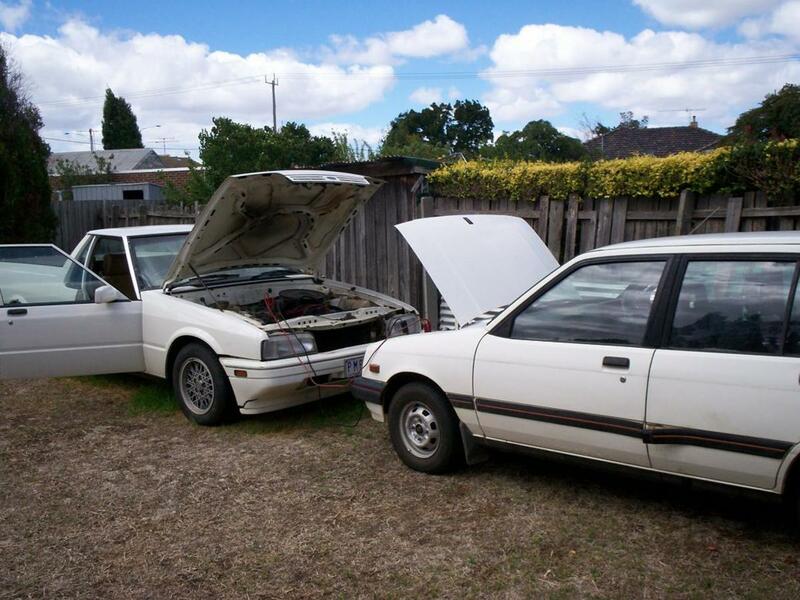 Still, most likely you'll need to exchange the old starter for the new one. 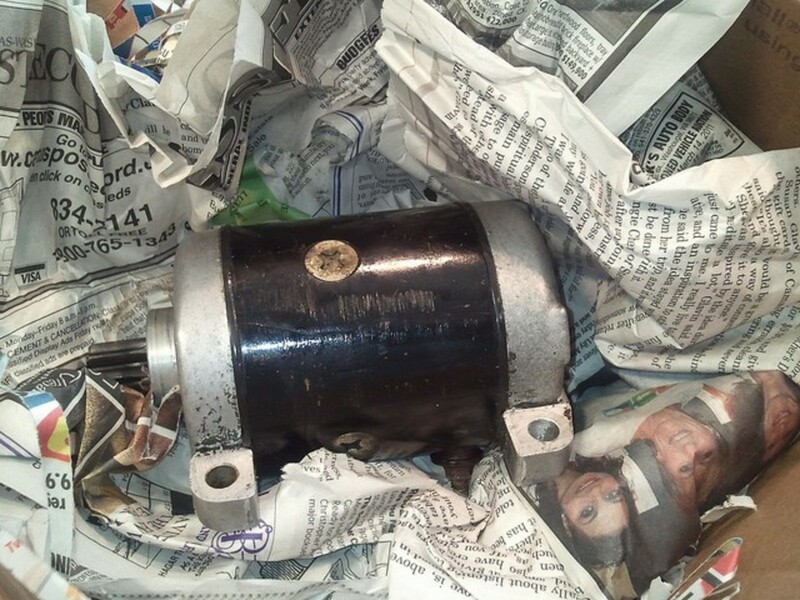 And remember to always handle the new starter with care to prevent damage to internal components. 1. Thoroughly clean the starter mounting area on the engine and transmission bell housing. Use a wire brush, shop rags and degreaser, if necessary. 2. Hold the new unit in place with one hand and place the spacer shims, if any, between the starter motor and the engine block; replace any mounting bracket as well. Start the mounting bolts by hand to prevent cross threading the bolts. 3. Before you tighten the mounting bolts, connect the battery cable and any other wires to the rear of the starter motor. 4. Now, tighten the mounting bolts to the manufacturer specifications using a torque wrench. Look up the bolts torque specifications on your vehicle repair manual. 5. Install any brackets and shields as necessary. If your starter comes with a heat shield, make sure to reinstall it. Without it, the heat from the exhaust manifold can ruin the electrical circuit inside the starter, and soon, you'll have to replace the new starter gain. 6. After lowering your vehicle, reconnect the battery cable and start the engine to confirm the repair. 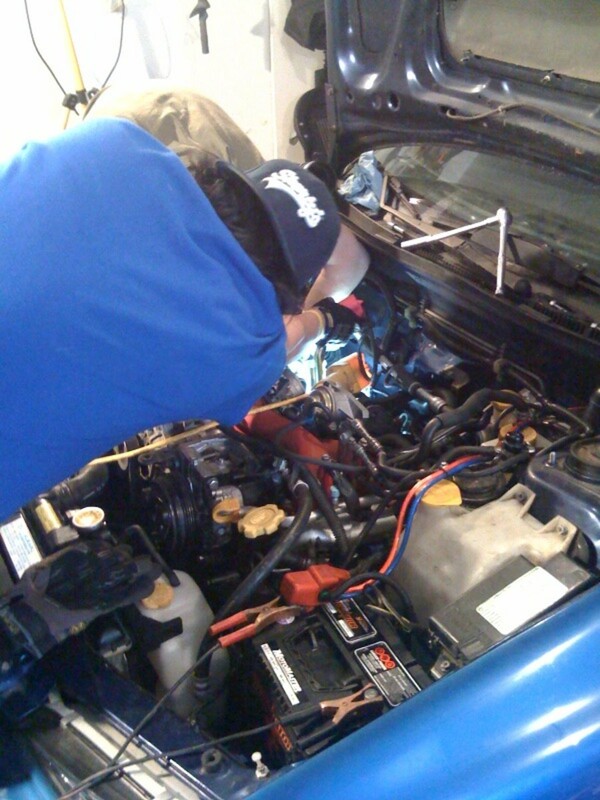 * If the starter remains silent check all the wiring to the starter motor and the battery. 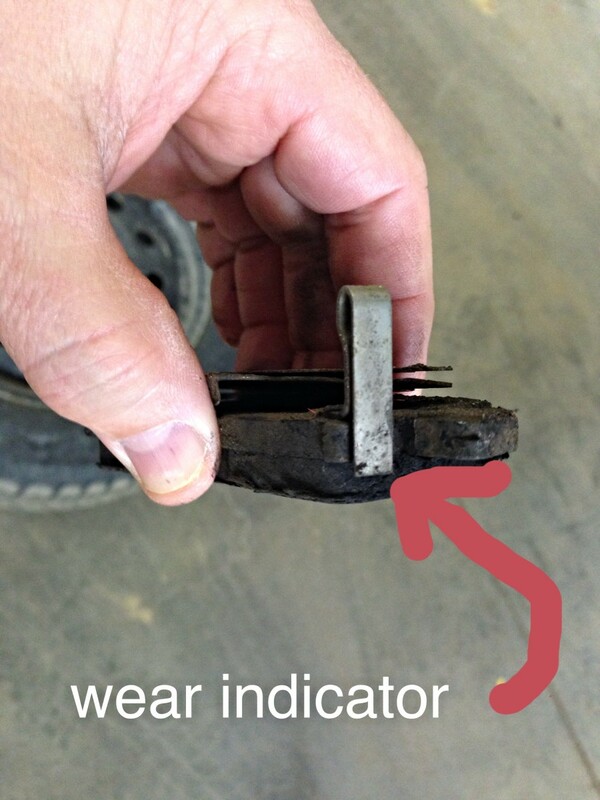 Check for corroded or loose connections, including the battery. * If all you hear is a grinding noise, most likely the starter motor is not properly mounted. 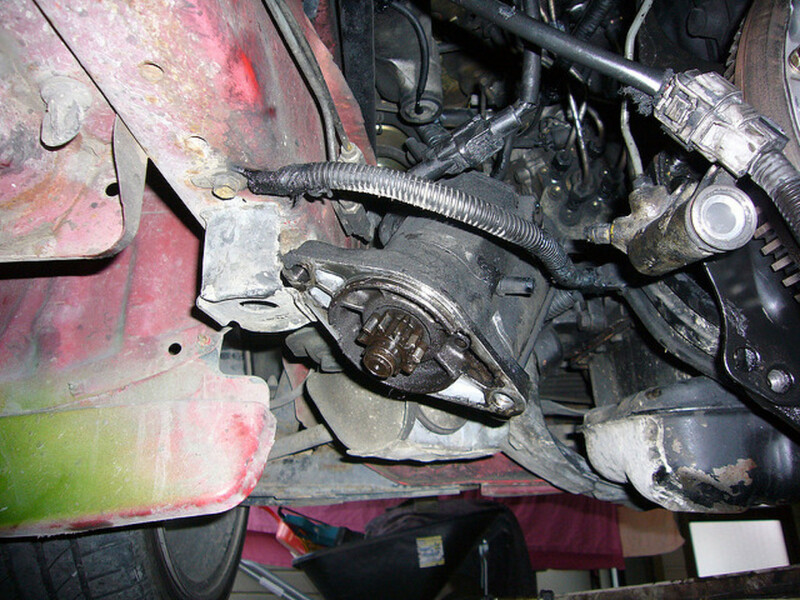 Recheck the mounting bolts and the position of the starter against the transmission mounting surface. Have you forgotten to install any shims or brackets? Once you know how to change a starter motor, you can perform this repair job in about an hour or so next time around. Not all vehicle engines, though, come with the same overall configuration. If you need to remove other components to gain access to the starter motor in your particular vehicle, you can consult the repair manual for your specific car make and model. Always plan ahead of time before starting any repair job on your vehicle, even if it seems as simple as replacing a starter motor. Why does the starter motor start when I hook it up to the battery? It sounds like a short circuit, possibly the solenoid or somewhere in the ignition. Why Won't My Engine Turn Over?